In 1992, Pedro Guerrero spurred a battle inside the Cardinals clubhouse, when he invited Sammy Sosa inside about a half-hour after the Cubs beat St. Louis in a tense, tightly-played game. The two had pre-arranged dinner plans, but when Sosa arrived early, Guerrero instructed him to settle in and wait. Sosa complied, spurring St. Louis players Rex Hudler and Todd Worrell to order that Guerrero remove the interloper. Within moments, Guerrero and Worrell were exchanging blows over the matter. At issue was the unwritten rule stipulating that players not step set foot in an opponent’s clubhouse. It’s fraternization of the highest order—cordial relations with the enemy on his own turf. Guerrero might have been a 15-year veteran at that point, but even his elder-statesman status couldn’t gain him sway in this regard. Willie Mays, however, is another story. When the Mets visited San Francisco in July, Mays extended an impropmtu invitation for David Wright to meet him in the home clubhouse at AT&T Park, about an hour before game time. Wright, already in full uniform, responded immediately, hustling down the hallway between the two clubhouses, skirting early-arriving fans in the process. The two first met in 2008, during the ceremonies for the final game at Shea Stadium. In part, they talked baseball; in part, Mays recruited Wright for a charity event he was holding in Newport News, VA, about 20 miles from Wright’s hometown of Norfolk. When they met again a few weeks ago, the agenda was similar. Again, Mays was hosting his event, and again he wanted Wright’s assistance. In accepting Mays’ invitation, Wright didn’t come close to mingling with players—the meeting took place in the office of clubhouse manager Mike Murphy—but he had to enter the clubhouse to get there. While the subject is hardly the taboo it once was, especially among players visiting ex-teammates after changing organizations, it still merits widespread recognition around the league. Often, players will simply send word to their pals that they’re waiting outside, and catch up in neutral territory. Wright’s visit was benign enough to raise nary an eyebrow. The same couldn’t be said for Pedro Guerrero in ’92. 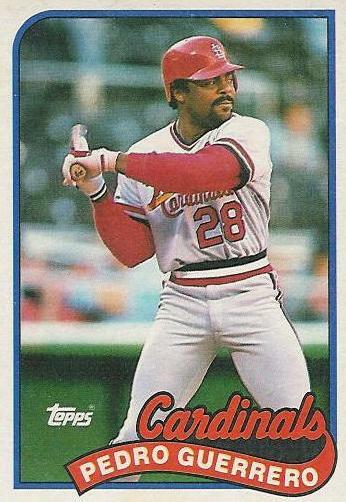 Shortly after his incident with Worrell, Torre slapped down a moratorium on visiting players in the locker room, going so far as to publicly cite Mets outfielder Vince Coleman, late of the Cardinals, as a prime example of someone who had been making himself too comfortable on the wrong side of the clubhouse doors. It was, and in many cases, still is. David Wright and Willie Mays excepted, of course. Thanks for the grammar catch.